When there is a question about the quality of measurement data further processing (e.g. for the creation of profiles) or needs to be corrected, you can produce a Report. This report is used to verify and graphically display the data and to provide recommendations for corrections. The Report is a very powerful feature to document which types of corrections to the measurement data are necessary. Before applying any of the tools, select the loaded measurement file and click on the Report button. In addition to the Check measurement data quality function, where necessary, also activate the checkboxes Check print standard (profile) to select a comparison profile and/or Find best profile matching the data. ICC profiles in the drop-down menu Compare with print standard (profile) are sorted by percentages with the highest match on top. The best matching profile of the list will automatically be selected if the Search button is clicked. 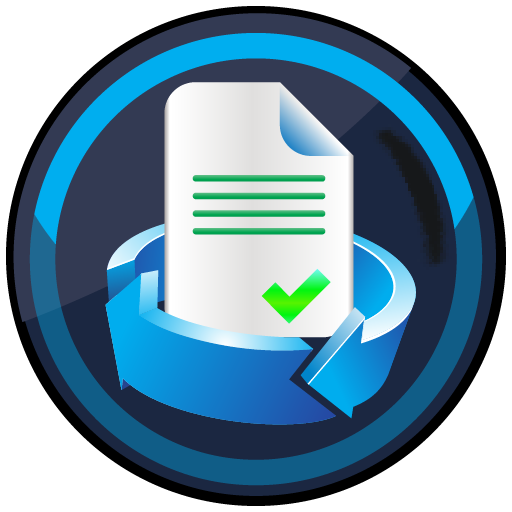 If you click on Save, a save dialog opens in which the desired file name can be entered and the location specified, as well as defining the Format of the report. 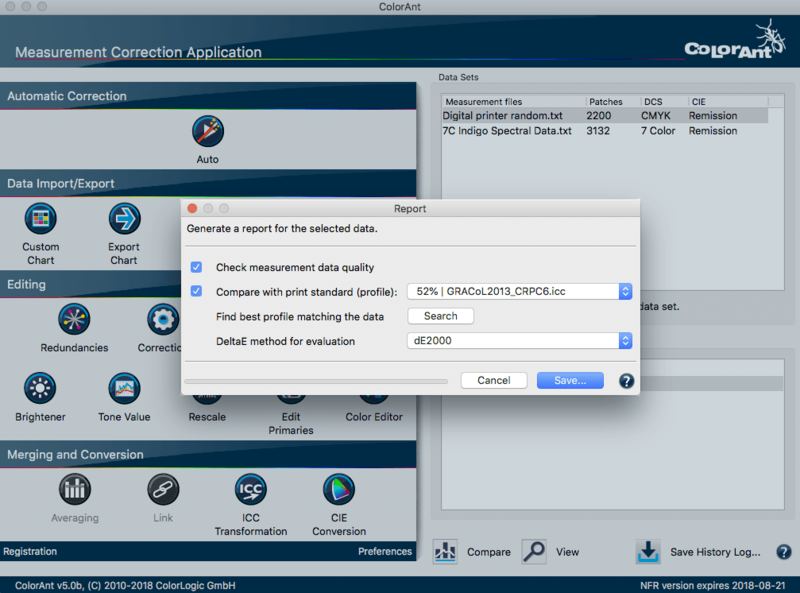 ColorAnt creates either PDF or XML reports. The XML report format to build a customized design for example with Microsoft Excel. Beside the report file an additional file ColorAntReport.xsd containing the XML schema will be saved and you may use it when importing the data in other tools. Click on Save and for example a PDF report will be generated, saved and opens up in your preferred PDF viewer. The different report pages provide an insight into the Tonal Value Increase Curves, the gamut representation (Spider Web) as well as the results of the test on the matching of redundant color patches (Quality Evaluation section), measurement or printing errors and the smoothness of the measurement file. By switching on/off the different layers in the PDF file, display the individual tone curves. Switch on/off the color patches highlighted with a red frame and also view color patches before and after correction and smoothing.Text assessments in the individual sections give tips on the correction tools to be used in ColorAnt. Get information about optical brighteners in the paper, which available ICC profiles best fits the measurement data or how exactly the measurement data depicts a pre-defined reference profile. 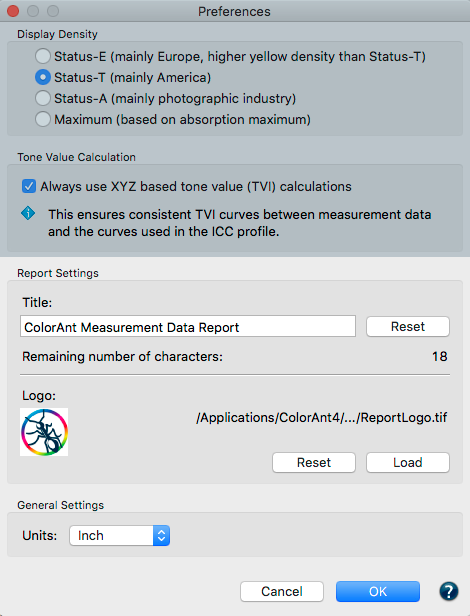 Add a custom logo and report title in the Preferences dialog. For exchanging a logo file make sure to use a small size TIFF, JPEG or GIF file.